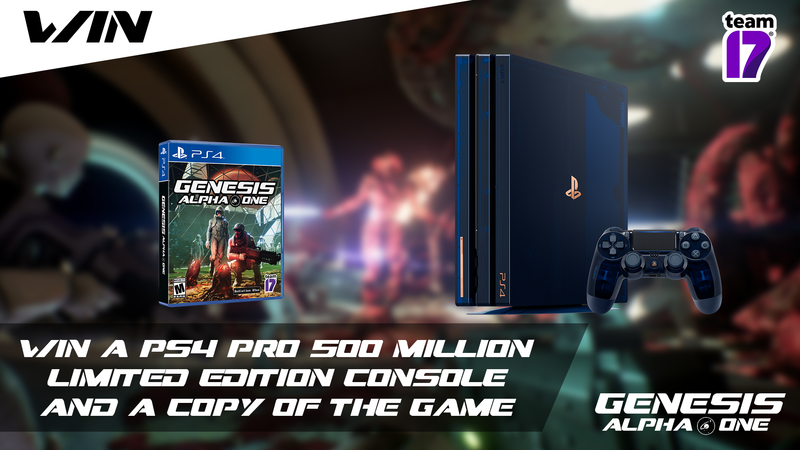 To celebrate the upcoming launch of our sci-fi roguelike shooter Genesis Alpha One on 29th January 2019, we are giving you the opportunity to win a PS4 Pro 500 Million Limited Edition Console and a physical copy of the game! For a chance to win, follow the instructions below and perform one or more of the actions. Remember, the more actions you complete the more chances you have of winning! The competition will run from Tuesday 22nd to Monday 28th January 2019. Good luck, captains!